The calculation solves area characteristics of common profiles and mass characteristics of solids created by drawing or rotation of the profile. 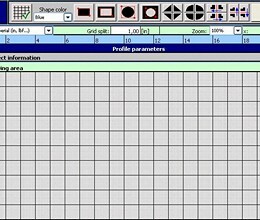 Creation of a profile in a simple graphic editor. Calculation of area characteristics for main axes passing through the centre of gravity (moment of inertia, radius of gyration, bending modulus. . . ). Calculation of area characteristics (Ix, Sx) for randomly turned axes passing through the centre of gravity, including a graph. Calculation of characteristics for the turned axes which pass through a random point. Calculation of volume and mass characteristics (V, m, Im) of solids created by drawing or rotation of the profile. * MITCalc Profiles download link provides trial version of the software. 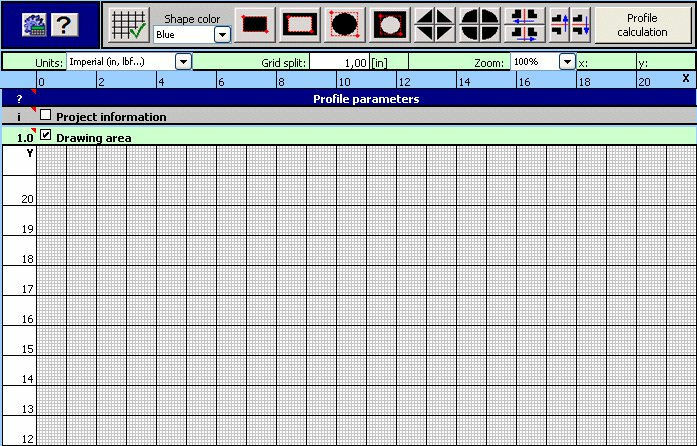 The application is designed for calculations of straight, maximum three times static indefinite beams with constant axis-symmetrical profiles. MITCalc Bolted Connections is designed for a geometrical design and strength check of a prestressed bolt connection, loaded by static or cyclic loading resp. , acting both in the axis of the bolt and in the plane of the connected parts. MITCalc is the mechanical, industrial and technical calculations package. This professionally multi-language prepared package includes solutions for gearings, belt and chain drives, bearings, springs, beams, shafts, bolt joints and many others. MITCalc Welded Connections is intended for the geometrical design and strength control of statically loaded welded connections of machine structures manufactured from carbon steels. The calculation is designed for geometrical designs and complex examinations of shafts. MITCalc Profiles has been rated 5.0 out of 5 points. A total of 1 votes cast and 0 users reviewed the software.